Carmen Grandes is a communicator, the essence of today’s Barcelona woman: business owner, mother, fashion icon, Instagrammer and, above all, a good friend. As if that wasn’t enough, she is fast and efficient at answering any query or resolving any problem. She has the energy of a volcano and is a big fan of heels. 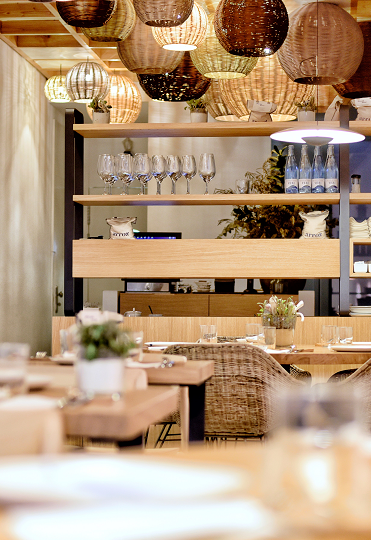 Arroz Hofmann (Passeig de Sant Joan, 36, 08010 Barcelona) is the essence of Mediterranean cuisine. 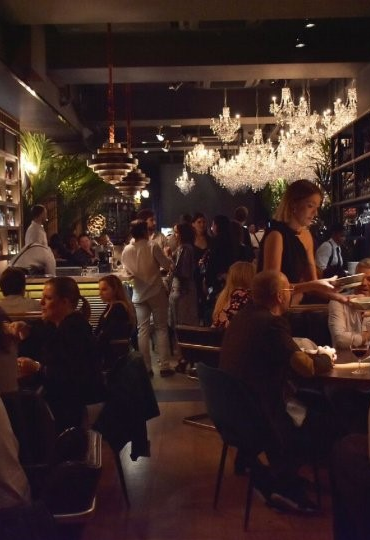 This new restaurant in the centre of Barcelona has long opening hours and a generous range of dishes, meaning you can grab a tasty bite any time of day. Rice in all its variations – dry, creamy, with stock or “special” – is the star of the menu, which also features fish and mar i muntanya (seafood and meat) starters. At the top of the emblematic Passeig de Gràcia, Palau Robert is a turn-of-the-century building where there are always interesting temporary exhibitions linked to the world of art and culture on display. 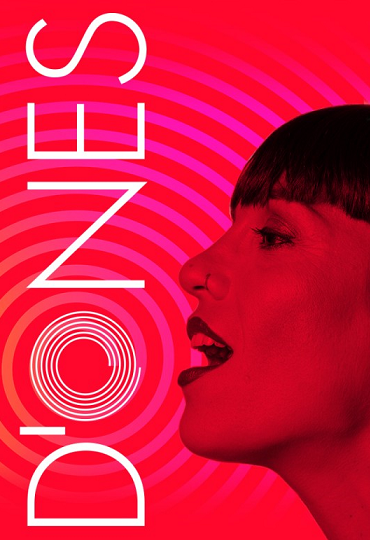 Right now there is a highly recommendable exhibition related to International Women’s Day: “D’ONES (R)evolution of women in music”. (The clever title plays with a double meaning: ‘dones’ means women in English and ‘ones’ means waves, so ‘d’ones’ means ‘of waves’.) It represents 1000 female artists from the past century through their compositions, songs and videos. El Born and El Gótico are two neighbourhoods that every tourist must have visited. However, there are still some quiet spots to discover. One is the Roman temple in Carrer Paradís, another is Carrer Carabassa, crisscrossed by bridges and facing the dome of the Basílica de la Mercè. Along the Passeig del Born, it is worth taking a look at number 16, which shows a house that had its sides chopped off (literally) as part of the demolitions which took place to make way for the Ciutadella. Another singular street is Sant Pere Més Alt. 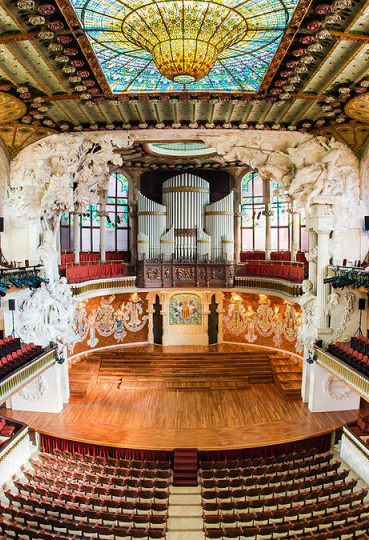 Starting at the Palau de la Música Catalana (a World Heritage Site) and heading towards the Plaça Sant Pere, you can spy evocative passageways (Passatge de les Manufactures and more especially Passatge Sert), antiques shops and unexpected restaurants. On the site of the former Tuset restaurant, the significant renovation has produced a splendid restaurant and bar. Comfortable, beautifully decorated and with friendly service, it offers good food and wine. After midnight the place transforms into the not-to-be-missed nightspot in Barcelona, where you can dance until 3 a.m. with the best ambience in the city. If you want to carry on partying after that, you’re in the right place: this street has clubs which are open until 6 a.m.
Alfons & Damián (Ptge Marimón 7 - 08021 Barcelona Spain) is a concept supported by three formats, Store, Gallery and Studio, which transform the world of home styling into a unique experience. 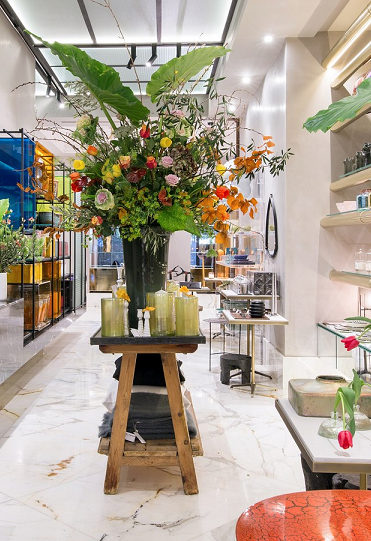 With furniture, design features and objets d’art, this is a journey into the world of interior design in which quality and surprises are constants. Singular products that seduce customers with their individual creative or historic discourse. Unique presentations from design geniuses and a continual search for new talent fuel the most artistic part of Alfons & Damián, offering an ideal platform to intellectualise and personalise each and every one of our personal spaces. #LOVETHEMOMENT I love La Roca Village for many reasons but especially because I associate it with having a good time with the people I love. The Village ticks all the boxes for you to wander around at any time during the week with your kids, your friends, your mum or your partner. 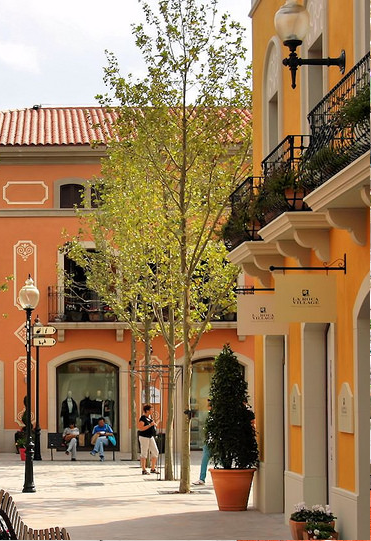 There is something for everyone and the Village is the place where people flow without rushing, enjoying a moment of shopping, a bite to eat or a stroll in the natural sunlight that shines on its open-air streets. There are always different decorations and interesting settings, making each visit a unique experience. As a huge fan of a Japanese food, I’d like to mention that whenever I have the time, a stop at the MORI by PARCO restaurant is a must for me. Their sushi is irresistible! Whether you live in Barcelona or are just visiting, a trip to the seaside is essential from time to time. My beloved Maresme, where I grew up, is less than 20 km from the city. One town after another leads to Caldetas, which in my view is a fantastic place to spend a day at the beach without the crowds. 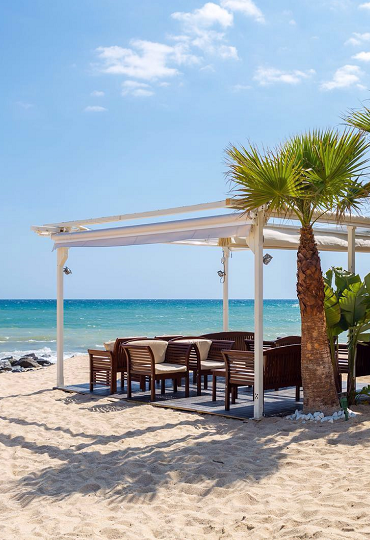 Crystal-clear waters, a sandy beach and hammocks in more than one chiringuito. Can Jaume, OhNades, Ostres quin raconet and El Sotavent are just some of the places where you can order tapas or something more substantial, like fish or rice dishes. It’s a good idea to book a table in advance. There are plenty of water sports to practise; paddle surf is my personal favourite. There are a few places where you can hire all the gear you need to dive in and see the world from a different perspective. One I would particularly recommend is Escuela de Vela y Pádel Surf del Nàutic de Caldes d’Estrac.